So far this photo has been shared over 20,000 times and that number is continuing to climb. 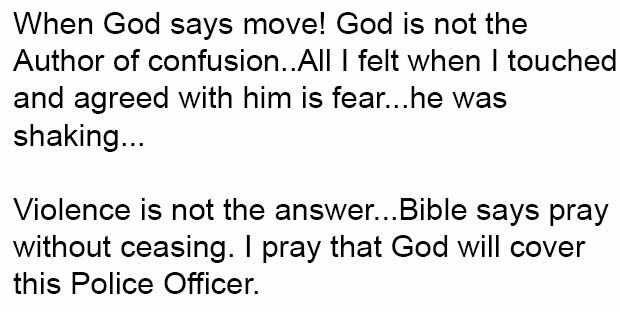 Posted by a woman named Kim L Muyaka, it shows an encounter she had with a police officer. 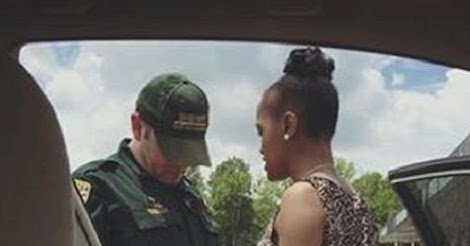 They met on the road and then they proceeded to pray together. 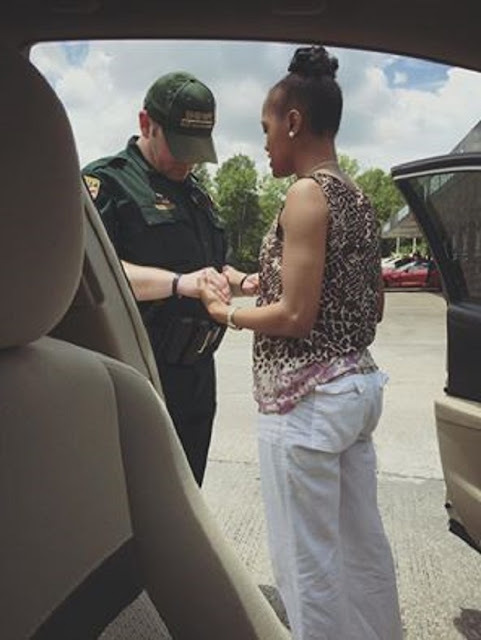 Her friend happened to snap a photo, capturing a rare moment of a white officer standing solemnly and praying with a black civilian. In the wake of everything that has gone down in recent weeks, it truly is a beautiful capture. Officers risk their lives doing their day to day jobs, protecting the public, so when a deadly encounter like the one in Dallas happens, it is heartbreaking and devastating. Share this amazing photo to show support of how we can indeed all get along, respect one another, and yes, pray together for things to get better.